If you will consider the advantages and benefits of tile flooring, you will not think twice choosing this material. Tiles are affordable, available in a wide range of designs, long-lasting, low-maintenance flooring materials, and eco-friendly. But you will need expert hands to install this type of flooring in your home or property. And here at Moriarty Floor Covering, Inc., we can help you with this task. Our company is the top choice of most homeowners, business owners, contractors, and home designers in Indiana. We not only provide top-quality flooring materials but also offer first-rate flooring installation services. We can handle all types of flooring projects, whether they involve hardwood or tile flooring. Our owner personally oversees every project, so you are assured of quality workmanship and fast completion of the tiling project. In addition, our crews are properly trained and well-experienced in tile installation. They have already completed numerous successful flooring projects in Bloomington, Kirby, Harrodsburg, Unionville, Ellettsville, Cincinnati, Whitehall, Hendricksville, Bedford, and Springville, IN. Call (812) 824-5555 to get more information about our tile installation services. There are different types of tile flooring that you can choose from. The popular options include ceramics, porcelain, and natural stone tiles. All of them are great for indoor and outdoor applications because of their durability and aesthetic effects. And to make your tile selection easier, seek the help of your contractor or installer. Your installer can recommend the type of flooring material that will be perfect for your home or business establishment. You may also consider its characteristics and recommended applications. Ceramics. Ceramic tiles are cost-effective flooring materials. They are cheaper to install compared to natural stones and hardwood. Another great quality of ceramics is its capability to repel stain and water. They are also easy to install and maintain. In fact, you do not need special cleaning solutions to remove dust and dirt from ceramic tiles. Traditionally, ceramics are commonly used for kitchen and bathroom flooring projects. But with newer production technologies, these materials are now widely used in various indoor and outdoor applications. Porcelain. Another alternative to ordinary ceramics is porcelain tiles. This type of tile flooring is actually made from the same raw materials used for ceramic tiles. The main difference is in the production method. 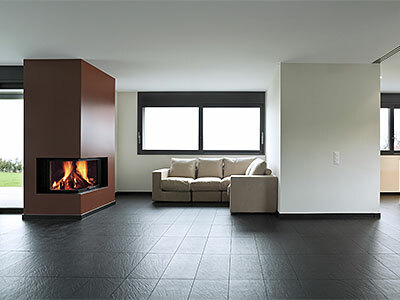 Porcelain is fired at a higher temperature, making it a more durable flooring product. It is also available in great design options. Natural stone. The elegant and timeless appeal of natural stone tile will surely make your home stunningly beautiful. Some of the stone tiles used for flooring include granite, marble, bluestone, slate, flagstone, and other natural stone varieties. The cost of tile flooring installation will depend on several factors. First, you have to consider the type of materials that will be used for the project. If you like natural stone tiles, you need a bigger budget to realize the project. If you are one of those with a limited budget, just choose a cheaper but equally durable flooring material. Our recommendation is to use ceramic tiles instead of the more expensive hardwood and natural stone tiles. You should also consider the specific tasks that will be included in the tile flooring installation. The project may involve removal of old flooring, hauling, and other renovation jobs. Tile flooring installation is a technical job that must be handled by an experienced and skilled contractor. Don't forget to dial our hotline number when you need expert people to work on your tile installation project.